The use of laser technology in the healthcare industry nowadays is common and many developments have also been made for the treatment of various diseases. The most significant impact of the technology is in vision and eye care with laser-based treatment for correction of impaired vision like astigmatism, near and farsightedness. A near-to-perfect vision is the outcome after treatment after which the use of glasses or contact lens isn’t necessary. LASIK (Laser in-Situ Keratomileusis) is widely accepted due to its fast, painless and lasting results. 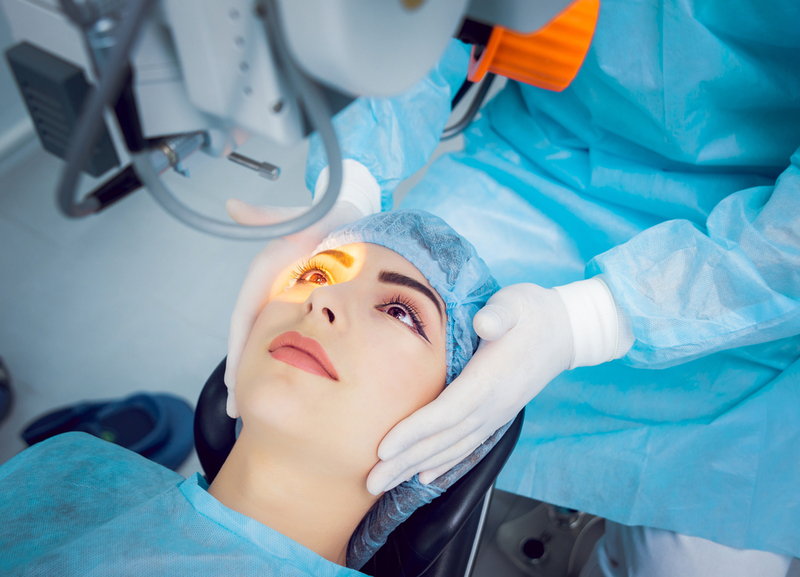 Let’s have a look at the process of laser eye surgery. Poor vision is one of the most common ailments individuals suffer from nowadays. For centuries, corrective lenses have been the only solution but thanks to the revolutionising technology and surgical procedures, treatment becomes both safe and effective. Laser eye surgery in Abu Dhabi for correcting the vision and reshaping eye components to near perfection is now a mainstream. It’s a fully standardised and controlled procedure for the removal of corneal tissue through a special laser that reshaped the cornea and modifying its power focus. The success and failure of the laser treatment depends on the extent of your vision impairment therefore pre-consultation with a doctor and laser technician would determine if it’ll work. Technician will first scan your eyes and develop a detailed map of integral eye components which will be used to adjust the laser frequency for proper treatment. The main purpose or target of laser treatment is the cornea. Its shape would determine how coherent a person’s vision will be after exposure and if the cornea can be successfully reshaped. Once a detailed sketch is taken and a good-to-go signal is given, procedure starts without further queries. Anaesthetic drops are placed in the eyes to numb the surrounding tissue. Surgeon would then place a lid speculum on each eye to keep it open for corrective procedure. A thin corneal flap is created by either using Microkeratome or laser, the flap is then lifted after which the surgeon would direct the laser for changing its shape. As the light is exposed to the corneal tissue, a fraction of it is vaporised. Specialist can then precisely control position, size and number of pulses to eliminate only what’s necessary for correcting the vision. When tissue vaporisation is completed, corneal flap is then replaced, quickly conforming to the newly shaped cornea. It’ll take a few days for the flap to heal and clear vision with special caring guidelines suggested by the surgeon to which adherence is a must. Although the laser eye surgery in Abu Dhabi is fairly safe and effective, surgical procedures are always risky. The most common risk is under and over-correction as well as altered vision impairment. You can always discuss these risks with the surgeon before undergoing the surgical procedure. If your vision is imperfect, there’s no need to be discouraged and it’s possible you’d undergo multiple treatment for perfection. Laser eye surgery in Abu Dhabi is performed from state-of-the-art technology and can significantly improve all levels of impaired vision so you may consider the place for treatment.